I place an emphasis on wellness. I use functional therapeutic massage to help your body: improve its physical capacity, prevent injury and increase its ability to heal itself. I believe therapeutic massage is an integral piece of every person’s healthy body maintenance. Massage tune-ups and specific bodywork, for chronic pain or injury, keep your body working at its best capacity. This is why I strive to provide my patients with the highest level of care and education/information to achieve and maintain a healthy and happy body. I continue to learn and explore outside of the office too! My time is spent with family and friends – cooking, hiking, attending farmer’s markets, going for drives and traveling. From beaches to snow capped mountains I enjoy talking to people native to an area/country, learning about their history, discovering their culture and cuisine and traversing their lands! 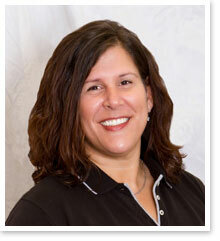 My massage therapy practice is located at 204 Delaware Avenue, Delmar, NY 12054. Click for Rates and Appointment information with Lauren or call 518.577.5488 today.